Mens Faux Leather Pants Wildfire Red. These mens faux leather pants by Younger are too hot to handle. Featuring skinny faux leather trousers in an electrifying red. Constructed with front and back pockets, button and zipper fly, and belt loops. Mens faux leather pants include asymmetric zippers along front. Designed with stretchy side pleating along inner and outer seam lines. 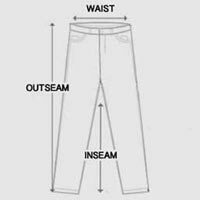 Interior of trousers include smooth fleece lining ideal for cooler seasons. The ultimate shade of red that’ll take any night look to the next level. Mens faux leather pants are a guaranteed fashion statement that’ll set any ensemble on fire.